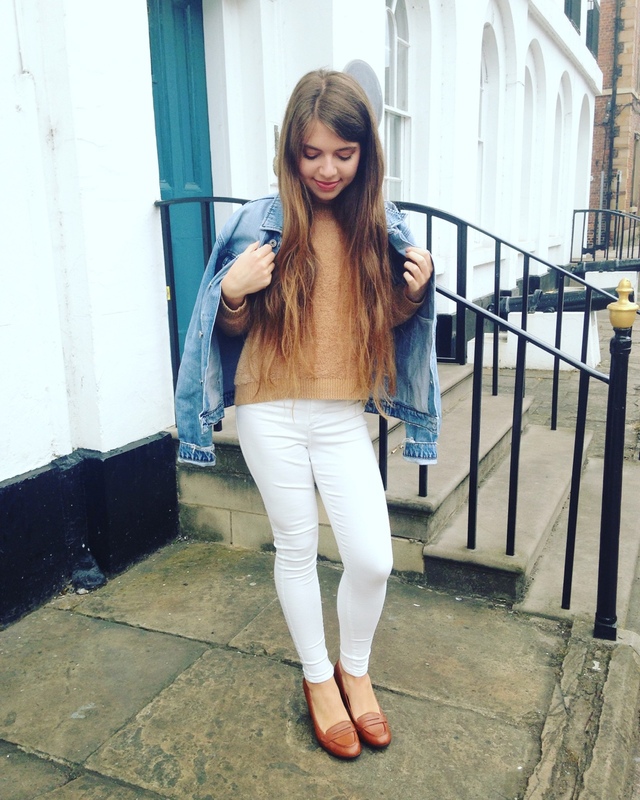 Today I am sharing a fashion post on some of my classic, smart-casual fashion favourites. With us waving goodbye to the very harsh winter weather, a few of the layers are no longer as necessary, and some of our new SS18 wardrobes can start to make an appearance! I like pieces which are essentially timeless or that you know you could easily mix, match and interchange for lots of outfit potentials, so no two days have to be styled exactly the same, as it just helps to keep things interesting. So I'm going to show you some of my favourite sophisticated pieces. 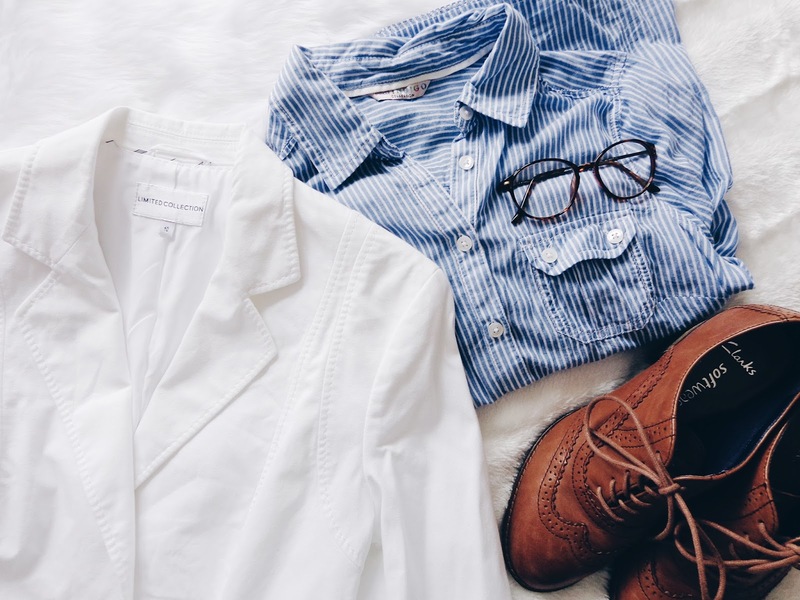 Sometimes I think a smart-casual look can be really good, as you feel comfortable and relaxed but also like you have made an effort, so it's all about a bit of outfit balance! 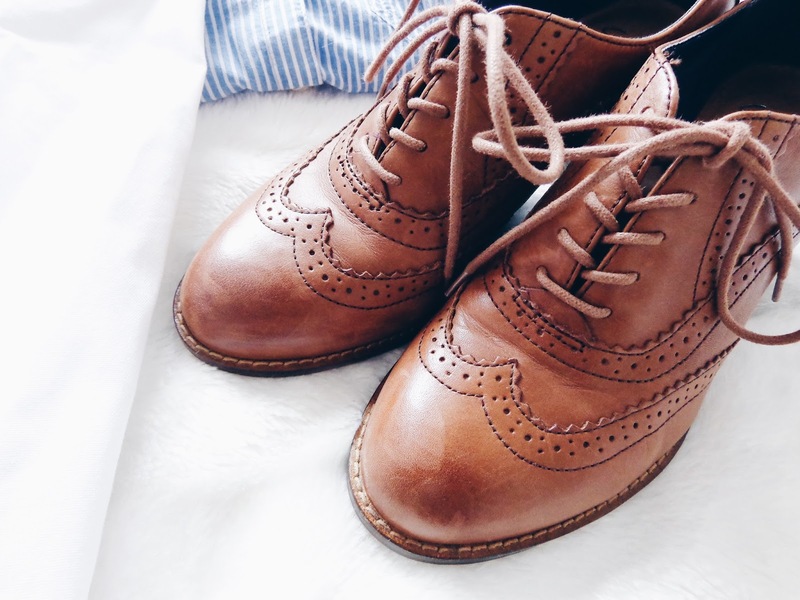 I really like brogues as they just seem to go really well with a whole host of different outfits, plus they are essentially a timeless shoe which is never going out of style. With their characteristic detailed upper and thin laces, they can really draw an outfit together. 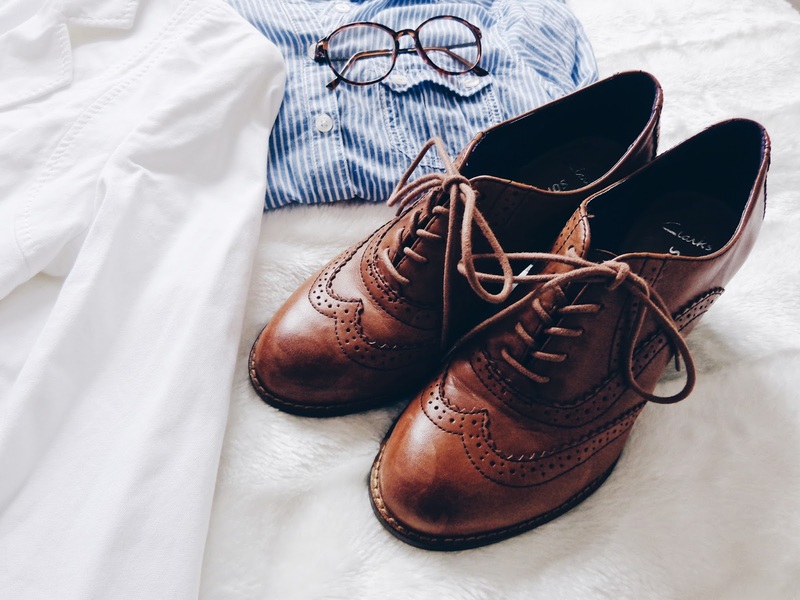 If you're going out for a casual day and are wearing jeans, then slipping into a pair of brogues rather than trainers for example can elevate your look to looking that bit more chic and stylish. When you hear the term smart casual, it can be difficult to always know exactly what that dress code entails. Charles Tyrwhitt has outlined a few fashion focused pointers for guys who would like to achieve a well put together outfit without the hassle. 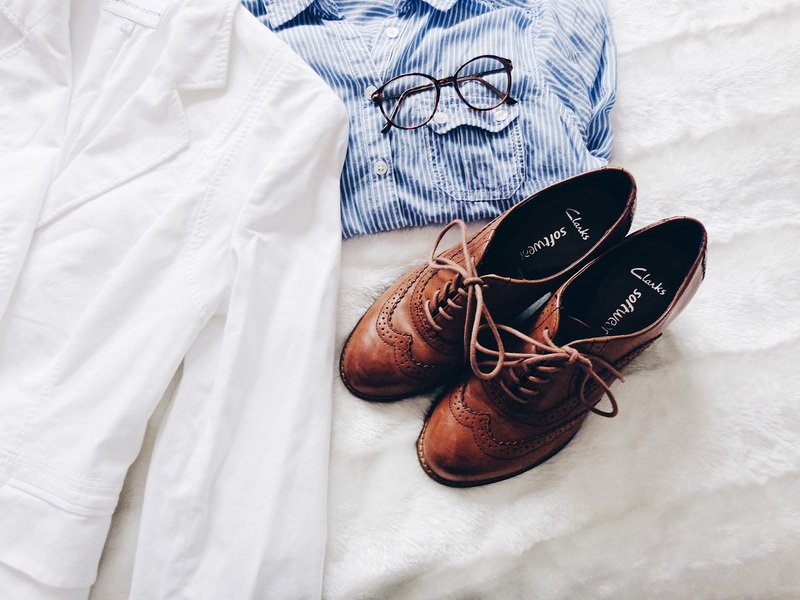 Investing in a few staple pieces, like a good quality pair of brogues, good chinos, a pair of well tailored trousers and a nice tailored jacket or if that feels too structured to you, then an unstructured blazer is your best bet as it is less rigid, giving you more freedom to move naturally without feeling encumbered is a good idea and it'll mean that you will always feel prepared ahead of time, whatever event you know you're attending. If you're looking for a piece which can take you from work to evening drinks, then navy works really well as it is more versatile due to being less formal than a jet black jacket. 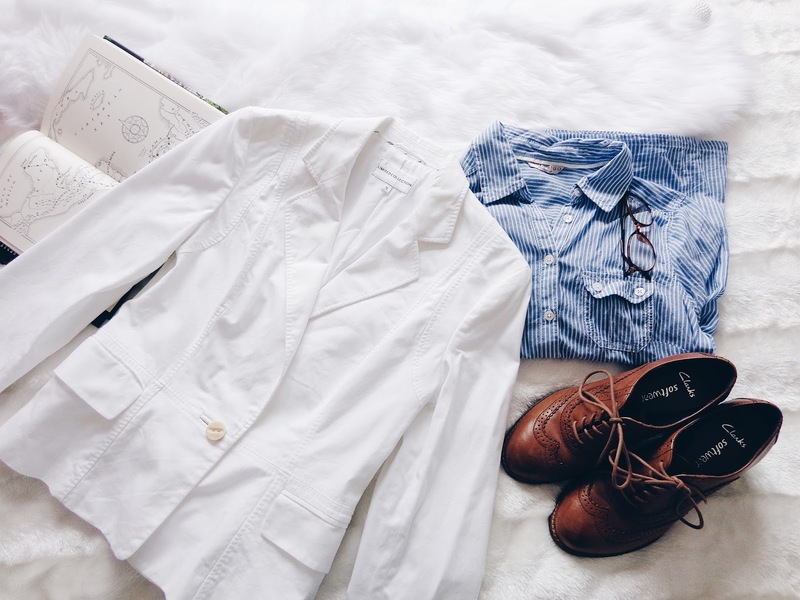 When it comes to what shirt to wear, there are loads of great options, dependant upon the occasion which you are going to. If it's a gathering where you know looking smart is a good idea but you don't want to feel overdressed, then just undoing a couple of the top buttons is an effortless way of achieving a more relaxed vibe. You can check out and shop the fantastic Charles Tyrwhitt men's shirt's range online here. This post contains sponsored content from Charles Tyrwhitt. All views and opinions remain honest & my own.